Bharatiya Janata Party (BJP) chief Amit Shah on Thursday blamed Congress for the impasse during Parliament's Budget Session and said the opposition is always involved in disruptive politics. In his blog, he mentioned due to the "irresponsible" attitude of the opposition, Rs 333 crore of public money was wasted during the session. "On a call of conscience, we decided to forgo our salaries," said Shah on the same. He pointed out that Rs 1.57 crore and Rs 1.10 crore is spent per hour in running the Lok Sabha and the Rajya Sabha respectively. 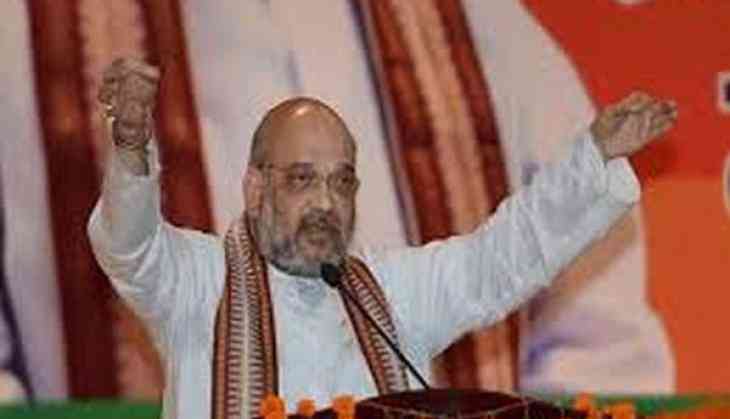 "Rs 200 crore in Lok Sabha and Rs 133 crore in Rajya Sabha were completely wasted," mentioned Shah. He ended his blog with his fingers pointed towards the opposition and said, "People should know that Congress always obstructs the government while it's doing some constructive work towards development."